CONTROL Fridays are back on August 31st for a massive night of music featuring dance music heavyweights Pegboard Nerds and Virtu with support from local talent FrankEazy, Emporia, DJ Chin and STRM. Pegboard Nerds are taking on headlining duties for the evening and they have been one of bass musics most innovative producers out there. Coming on the scene in 2011, they have risen up the ranks at a insane pace. Being from Norway, they bring a unique blend of sounds to their productions and have constantly pushed the envelope in music. This Los Angeles stop being one of their Full Hearts Tour, be sure to have a insane time with the magnificent duo by the name of Pegboard Nerds. Producer, songwriter and vocalist Virtu has had some stunning highlights in his early on career with his eclectic taste in music making. He is from Santa Clarita, being able to play one of the best venues in Los Angeles, you already know this night is going to be special. Gaining notoriety for his remixes of The Chainsmokers, San Holo, Jai Wolf, and even Seven Lions, he’s been making serious waves in the dance scene and will be sure to leave an impression at AVALON. 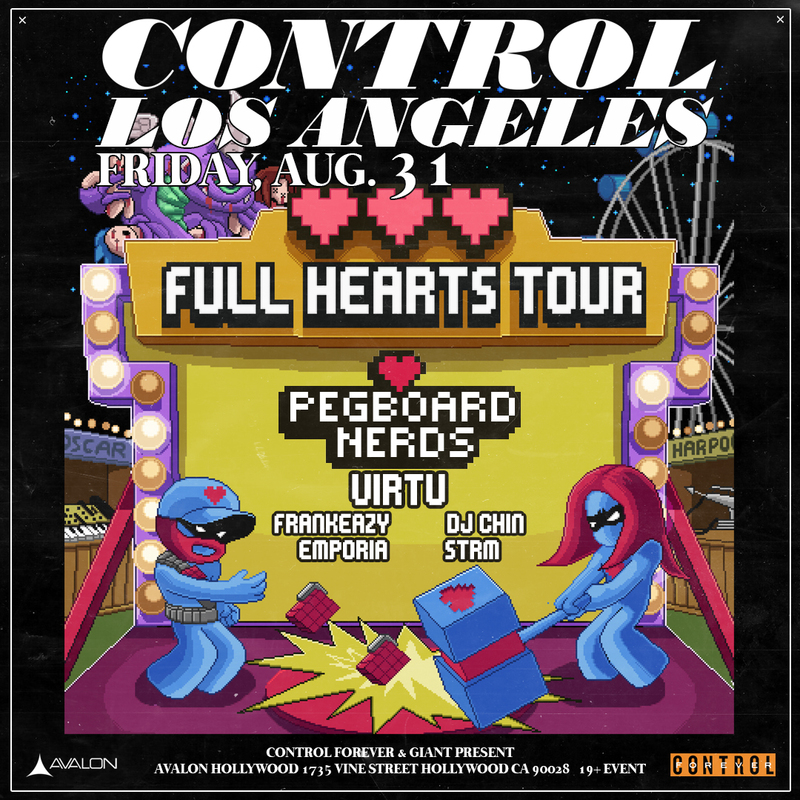 Be sure out to another incredible edition of CONTROL Fridays at AVALON Hollywood August 31st to witness the talents of Pegboard Nerds, Virtu, and support from FrankEazy, Emporia, DJ Chin, and STRM.